Wendy’s Ghost Pepper Fries — A Review! IT WAS Maya Angelou who famously said, “A bird doesn’t sing because it has answers, it sings because it has Ghost Pepper Fries” — a sentiment which held little meaning for me before the events of this past week transpired and when I fortuitously wandered into my local Wendy’s quick-serve (as they like to say) restaurant yesterday. There on the illuminated menu board, or IMB, was news of a brand new, presumably available-for-a-limited-time offering known as, yes!, Ghost Pepper Fries, which might prove to — however briefly! — take my mind off other issues, and refocus it on the soon-to-be searing pain afflicting my tongue and esophagus (and later, I guessed, other parts of my digestive system). Or so I’d expected. The ghost pepper, or jalapeño fantasmo as it’s called in Spanish-speaking countries, probably, is well-known as the hottest pepper on the face of the earth, measuring 212 decibals on the Richter scale, which can easily result in permanent tasting loss in the lower frequency range. It has a well-deserved reputation as the world’s deadliest pepper. 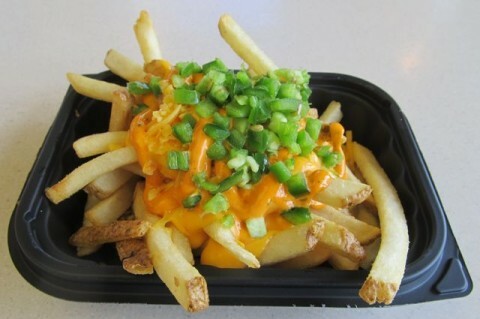 Wendy’s is now offering it diced and sprinkled delicately atop a bed of cheese-covered fries. Screw it, sign me up — what the hell do I have to live for? Some say I have death wish; others might conclude I just don’t care anymore. The verdict: Eh, they’re, uh…they’re good. French fries topped with cheese and peppers: What’s not to like? I love spicy food, though I do have my limits when it comes to the really hot stuff. But these were a walk in the park, and surprisingly, not a walk in the park where you’re suddenly doubled over, clenching, clenching, looking for a public restroom that isn’t already occupied with homeless men washing out their underpants in the sink or loitering in a stall, hoping to earn a quick 50¢ to upgrade to Ghost Pepper Fries of their own. I’d go so far as to say that among a tray of fried potato slivers, cheese sauce and chopped-up jalapeños reportedly grown by Lucifer himself, these raw, diced peppers were the healthiest, or the least health-compromising, part of this side dish. As with everything else today, food trends too are moving faster than ever. Believe it or not, we’ve already reached peak sriracha saturation and it’s clear that ghost peppers are the next big thing. 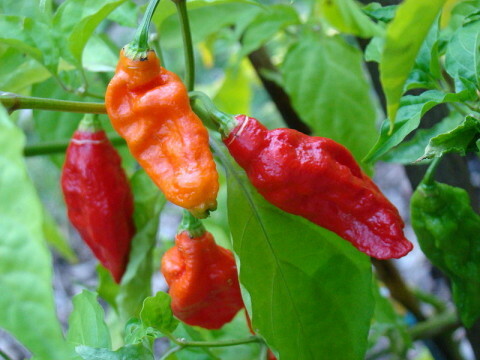 And just like sriracha sauce, there’s no definitive, industry-wide standard for ghost peppers. Seems you can call anything a ghost pepper and there’s never any danger of being hauled up in front of a Congressional hearing to explain yourself. I’ve a pal who’s growing something called “ghost peppers” in his garden this year, and they’re probably no closer to Bhut jolokia, the “true” Asian ghost pepper (illustrated a few paragraphs above, courtesy your precious Wikipedia), than the vaguely spicy peppers with which Wendy’s is garnishing their new menu item. But like I said, these so-called “Ghost Pepper Fries” weren’t bad. They used all the ingredients in their basket, they got everything on the plate in time, and most importantly, presentation was flawless. 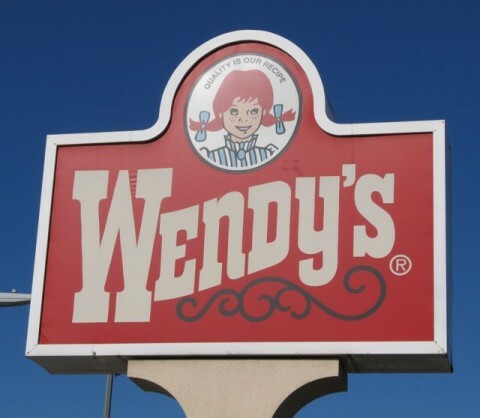 If this were “Chopped,” Wendy’s would be moving onto the next round, which I imagine will involve something like a salted caramel burger on a red velvet bun. My Response: Maybe you should actually Shut! Up! Thanks for writing! Your t-shirt is on its way! Any and all information about these Ghost Pepper Fries at my local Wendy’s was limited to the picture on the IMB, or Illuminated Menu Board, and if there were any specifics about what actually constituted Ghost Pepper Fries, in particular the ghost pepper aspect of them — and I don’t think there was — it was in print too tiny to read. Okay, so apparently the “ghost pepper” element comes from some sauce that my taste buds and I didn’t even notice was commingling with the cheese. Bottom line: These fries were not “ghost pepper” hot; they were still good; and I stand by my assertion that “ghost pepper” has already become a trendy, ridiculous food buzzword that ultimately means nothing. Folks, keep those cards & letters coming! Posted by Ted on April 10, 2015, 3:07 PM.